The Malagasy Civet, also known as the Striped Civet, is the second largest carnivore on the island of Madagascar (second to Fossa). It’s latin name – Fossa fossana – should not be confused to the Fossa, as they’re not closely related. The Malagasy Civet is a small predatory mammal endemic to Madagascar, which means it’s the only place where they can be seen. Their body being 40 to 45 centimetres long and weighing between 1.5 and 2 kilograms, in size they’re similar to a house cat. The Malagasy Civet has a short, dense fur of brownish colour, with four rows of black spots running along its body. Both their appearance and behavior resemble a fox. Thoughts differ whether the Malagasy Civets are solitary animals or if they form pairs. Most of the cases, however, two civets maintain a home area of about one square mile, marking its borders with scent. 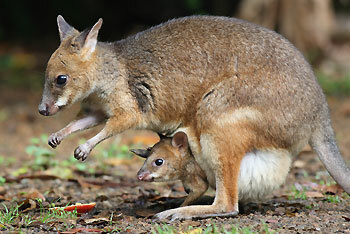 They’re not very prominent climbers and spend most of their time on ground, in the forests. Being nocturnal animals, the civets hunt at night and sleep during the day. The Malagasy Civets feed on small mammals, frogs, lizards, bird eggs and any other meat they can get their hands on. 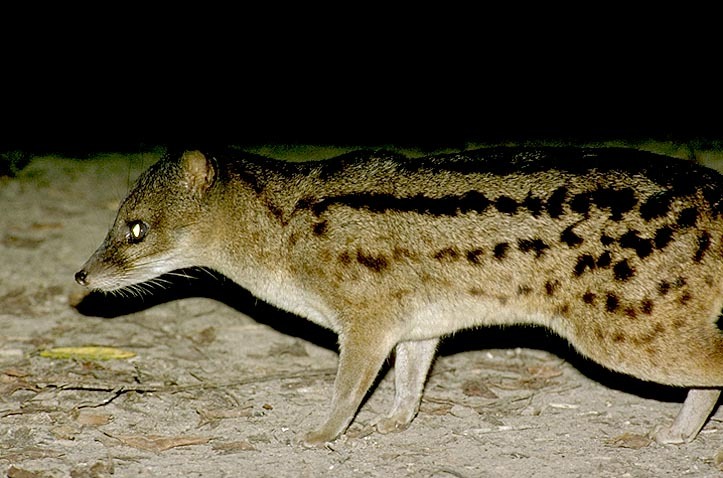 As they’re not as agile as the Fossa and don’t possess good climbing abilities, the Malagasy Civets usually hunt on the ground, in the bushes and sometimes low trees, therefore creatures living in the highest trees are out of their reach. The Malagasy Civet stores fat in their tail (which can reach up to 25% of their body mass) for winter. Their mating season lasts throughout August and September, and after a gestation period of three months a single pup is born. 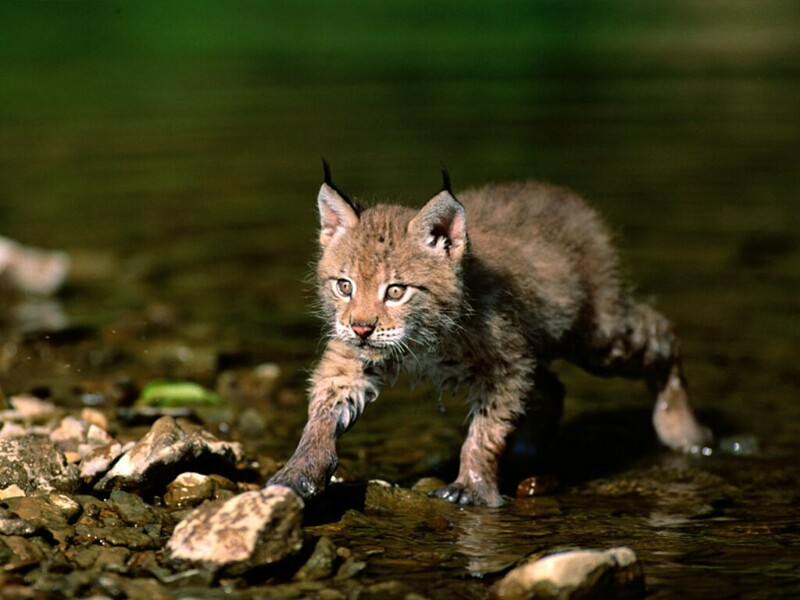 The newborns are highly developed, fully furred and their eyes are open. A few days later the young starts walking and a month later they already eat meat. They still stay with their parents for about a year, after which they start looking for their own home territory. A fully mature Malagasy Civet has few natural predators, although the young are sometimes eaten by snakes or other predators. The IUCN classifies the Malagasy Civet as “Near Threatened” and not much is known about their current population apart from the fact that they’re being hunted for food by the natives. The current number of the population is unknown, however it is suspected that it is slowly decreasing, as more and more of the civet’s natural habitat is being destroyed. Possible natural reasons for decline in population are yet unknown and more research of the Malagasy Civet is required to evaluate the status of this species. 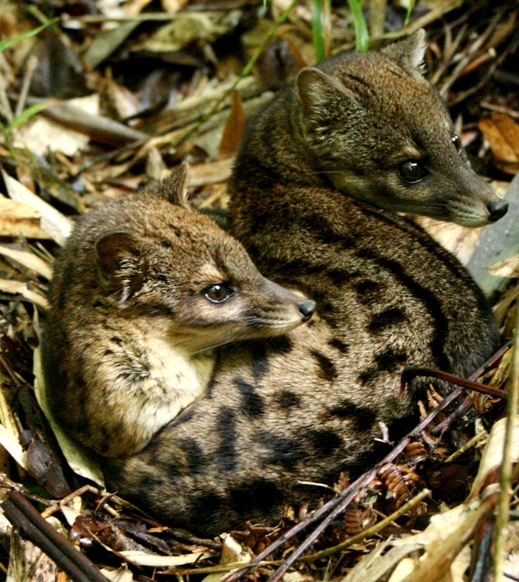 Malagasy civet is a member of cat family.But their charecter is more similar with mongoose. 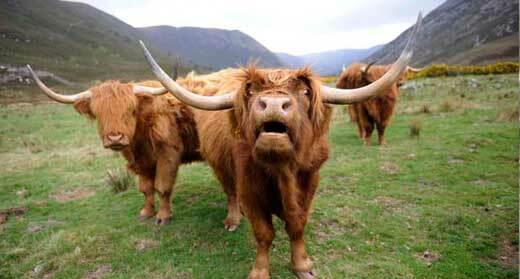 Their all species is totally carnivorous. They catch their prey at night.